In my last post on coaching, I explained what exactly is coaching. Since the term is shrouded in mystery for most of us, I hope that helped clear the term for you. Since coaching is such a powerful tool, in today’s post, let’s look at how can coaching help. Coaching is term commonly used in the context of work. It is believed to be more relevant for managers and leaders. While coaching can be very impactful at the workplace, it can also help you reap benefits in many other areas of life contributing towards a more fulfilling life. How can coaching help you in you professional life? Do well on your job: Commonly known as business/executive coaching, this tool is already being used in the corporate world for a variety of reasons – to develop skills, to help employees reach their goals, to make better managers, to groom managers as future leaders and help leaders explore their full potential, apart from other things. Coaching sessions over a period of time help you work on your action plans and reach your long term goals. Find or further your career: Whether you are wondering what to do after college or at cross roads in your career with a few years of experience, coaching can help you. A coach can assist you explore your skill sets and the career options you may want to consider keeping them in mind. It also helps with career enhancement by helping you chalk out plans and timelines to execute them. Since coaching is different from just counselling, it can also help connect your career goals to what kind of future you envision for yourself. Improve your skills: As mentioned earlier, coaching can be a potent tool to help build skills of employees so that they can work better and take on more challenging roles. The coach listens to a coachee, in every session, with the final goal in mind and ensures that the coachee achieves all the goals the sessions set out to help him with. Coaching sessions over a period of time are best for these kind of goals. How can coaching help in your personal life? Find your work- life balance: With the kind of busy and stressful lives we lead, we can do with some help coping with it. We mostly struggle to fulfil all our commitments constantly wondering why we fall short of time. It is said that just talking to someone makes us feel lighter. Added to that, through relevant coaching tools, you can figure out your work patterns and identify ways in which you can restore balance in your life. Manage stress: Stress is invariably a part of our lives, sometimes to the extent of having a debilitating effect on our lives. Since coaching involves giving the coachee complete freedom to express himself, it is one of the best ways to help manage stress. As you answer the powerful questions of the coach, you will discover your stressors and also ways in which you can manage them well. Lead a healthy lifestyle: I know that coaching sessions are not going to reduce your waist size like gym sessions would. But how many times have you decided to be regular with your diet and workouts and how many times have you broken that promise to yourself? While working with your coach, you can chalk out these plans and with accountability to your coach, session after session, you will see a positive change in the way you are able to keep the same promises you seem to break so often. Have healthier relationships: Do you feel that you are usually the passive partner in your relationships? Would you like to be more assertive and be able to speak your mind? Or be able to strike conversations with strangers in a networking event? And have better relationships with people in your personal and professional lives? 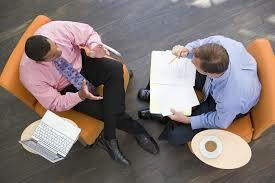 You can work with a coach to understand your communication style and how best to put it to use or improve it. Coaching has many tools which the coach can use at appropriate points during the session to help you with your goals. Personal growth and understanding self: Coaching is not just problem solving tool that can be used only when things aren’t working. It can be used to lead a better life with a greater understanding of self. Coaching can assist you on the path of self discovery towards a more fulfilling life. Even though coaching can be used to achieve any goal you like, I have tried to put together a few of those that can be of common relevance to us all. If you want to explore coaching more and understand how coaching can help you, drop me a line for a free session. Thanks for dropping by and leaving a comment! Appreciate it! Suman. In this post you have listed different streams where a coach can help you reach your goals. (I hope “help” is a correct term? Correct me if I’m wrong) my question to you is, are there different coaches for the mentioned categories? Or a single coach helps achieve different goals based on a persons choosing? Got this question after reading this post.